Welcome to Houma-Thibodaux Spine & Rehabilitation! Maintaining excellent health throughout your life requires the right tools. At Houma-Thibodaux Spine and Rehabilitation our chiropractors, Dr. Jake Bordelon, Dr. Beau Porche, & Dr. Ricky Melancon, offer treatment to help you keep up with your goals while addressing complications that may interfere with your lifestyle. Our treatments focus on your needs and we use the proper tools to evaluate your situation for a personalized health and wellness plan. At our Houma and Thibodaux clinics, we provide chiropractic care to help address pain and physical discomfort. Our treatments focus on your specific needs and we evaluate your situation before recommending a treatment plan. We may use spinal adjustments, spinal decompression therapy or spinal manipulation to help improve your health. 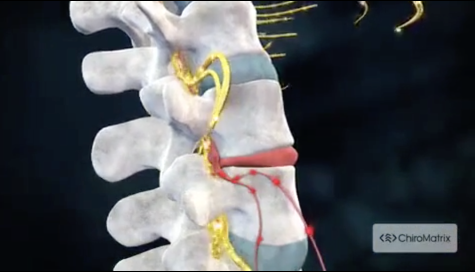 Our spinal decompression therapy focuses on reducing excess pressure at specific points on your spine. We also help improve your posture to prevent back or neck pain in the future. Massage therapy for pain management focuses on alleviating pain in your muscles. We offer deep tissue massages that help with back and neck pain. We also recognize the complications of tension in your muscles, which may cause physical discomfort or worsen symptoms from certain injuries. The treatments focus on your needs and we offer different massages based on your situation. Physical therapy focuses on helping your body heal and recover after an accident. At our clinics, we offer corrective exercises, stretches and similar tools to help address discomforts and improve your mobility. The supervised exercises focus on your specific injuries and we start slow to help improve your muscle strength. We may also recommend stretches to help reduce the risk of further injuries or for limited complications to your overall health and wellness. The physical therapy at our clinic focuses on your specific needs. We use tools like an x-ray to determine the cause of your pain before we start a treatment plan for an effective solution to your concerns. Pregnancy differs from other times in your life because you want to avoid problems with your unborn child. As a pregnant mother, you may face back and neck pain that limits your mobility. You also want to ensure healthy circulation to limit the risks to your child. At our clinics, we understand the risks that may arise during pregnancy and we offer specialized care to help improve you health while reducing your pain at different stages of your pregnancy. Our gentle treatments are appropriate for your situation and we do not take unnecessary risks with your unborn child. Contact Our Chiropractors in Houma & Thibodaux Today! Treating injuries with natural solutions or addressing specific health concerns starts with identifying the underlying causes of your pain. At our clinics, we offer the treatments you need to start healing from an injury, dealing with discomfort from a pregnancy or even just improving your physical well-being. To learn more about natural strategies for personal health and wellness or to set up an appointment with a chiropractor in Louisiana, call us today. Dr. Jake Bordelon, Dr. 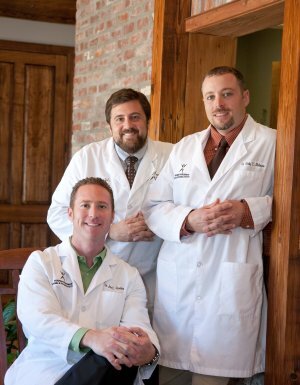 Beau Porche, and Dr. Ricky Melancon are licensed Chiropractors serving the Houma and Thibodaux communities. As experienced chiropractors, Dr. Bordelon, Dr. Porche, and Dr. Melancon are committed to promoting optimal health and well being of patients. "The best Doctors ever!! Don't ask me which is the best because they're all great at what they do. Love them all!"